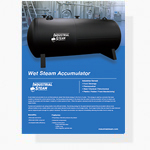 A wet steam accumulator is an un-fired pressure vessel that stores energy in the form of water. This energy is used by a process that sees a spike in demand for a short period of time. As the pressure decreases in the steam line the water in the accumulator will turn to steam and supply the process with the steam it needs for a short period of time. When the spike in demand ends the accumulator will recharge from the steam boiler. Owners and operators are using smaller more efficient boilers. 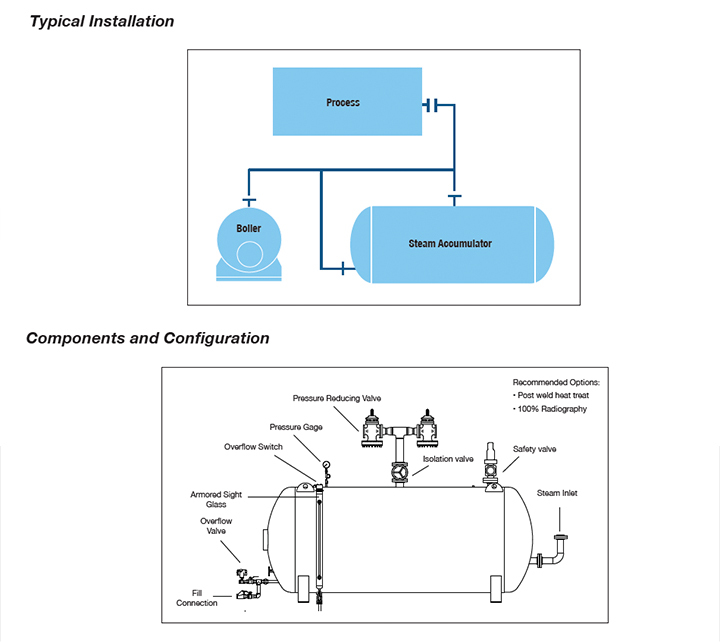 By storing energy for the peak demand period the accumulator allows more efficient boilers to be a viable option even when peak demand would require a much larger boiler. Even larger boilers that are sized for peak demand cannot respond quick enough to a spike in demand. 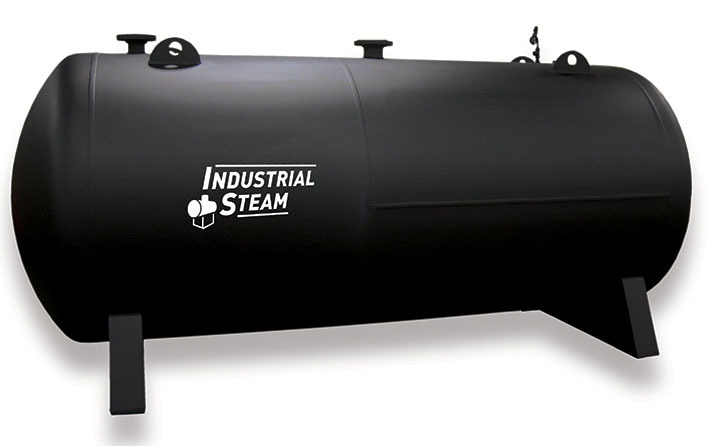 The steam accumulator can respond immediately allowing the boiler time to ramp up.